Morgan zone with Khartoum state singed a contract in grand holiday villa, for implementing Sammam project. General Abdulrahim Mohammed - Khartoum state governor- with Aml Albaily- the minister of development and social affairs ministry Khartoum state- attended the ceremony. Samam project aims at present a quick home services through hot lines, Customers should call throughout 1881 Call Center asking for craftsmen. The project implemented 1000 employees for 1000,000 opportunities for craftsmen. Also the project provides craftsmen with means of transport to facilitate their work and movement. 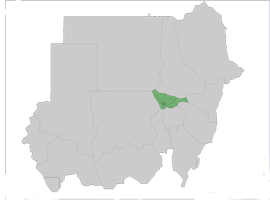 Samam is a cooperation between General and private sectors when general sector represented by ministry of human resources, Khartoum state, and other bodies. Morgan zone company limited is representing the private sector. Morgan zone company limited is one of Morgan group which works in communication and information technology It has vast and several works inside and outside the country. Samam is the fifth services which Morgan call center provides to the audience.